The Health Visiting Service aims to promote good health and wellbeing by working with parents before the birth of their baby as well as children under five years old and their family. Who is in the service? The Stockport Health Visiting Service is part of a wider integrated childrens service called Stockport Family. This service includes school nursing, early help and social care services. We also work closely with other partners such as GPs, midwives and schools. We offer every family the Healthy Child Programme, child development assessments, referral into other services, supportive interventions and information. This may be at home, clinic or children’s centre. The health visiting service aims to promote good health and wellbeing by working with children under five years old and their families. Management of long term health conditions in children. As part of a fully integrated team with Childrens Services, we offer a multiagency delivery model to ensure the right level of support is offered. Your health visitor will be notified of your baby’s birth and will normally contact you within 10 days to arrange a home visit at a time that suits you. During the visit your Health Visitor will discuss with you your baby’s physical health and development and answer any questions you may have. This may include advice and support about feeding, care of your baby and early attachment as well as advising you about your own health and wellbeing. Both the visit and your baby’s developmental progress will be recorded in your baby`s Child Health Record and your Personal Child Health Record (often referred to as The Red Book). Your Health Visitor in the area that you are moving from, may contact the Stockport Health Visiting Service to let them know that you are moving to the area. You can also let your GP know when you register with them or you can contact your local Health Visiting Team to let them know that you have moved into the Stockport area. (See attached details). One of the health visitors from the team will arrange to meet you in your home or at the local clinic for an introduction to the service and assessment of your childs health and developmental progress. We provide weekly "Child Health Clinics" which you can attend at any time and any venue across Stockport without an appointment. (Please see attached timetable). 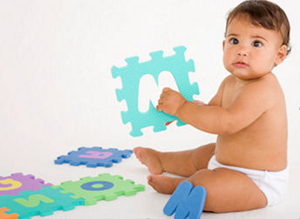 We also provide appointment only sessions to assess and discuss your child’s development progress. The appointments are offered approximately 3 weeks prior to the date of the appointment. You can be confident that your child and family health records will be stored securely and confidentially on our premises. The services involved in your care will share information within Stockport Family to support your child’s developmental progress to ensure your child has the best start in life. We will also share appropriate information regarding your child’s progress with their early years provider, nursery and/or school. As a parent you know your child better than anyone else; services involved in Stockport Family want to support the development of relationships with families to ensure professionals and parents/carers are working together. Parents are supported by Health Visitors and Early Years staff to talk about their child’s development at different milestones using the Ages and Stages Questionnaire (ASQ3). If any extra help is needed, this will be given as soon as possible to help all children achieve their very best in the earliest years and become ready for school. If you do not wish us to share this information please contact your Health Visitor. Please note that some cases, where child safeguarding is a concern, information will be shared without parental consent. The Health Visiting service is available Monday – Friday, 8.30 till 5.00pm excluding Bank Holidays. Child health clinics are available at the times and venues below.